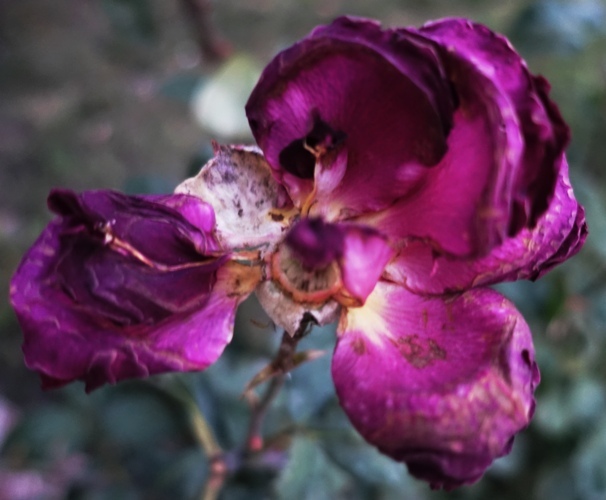 Have you ever noticed that old rose blooms can also be beautiful? 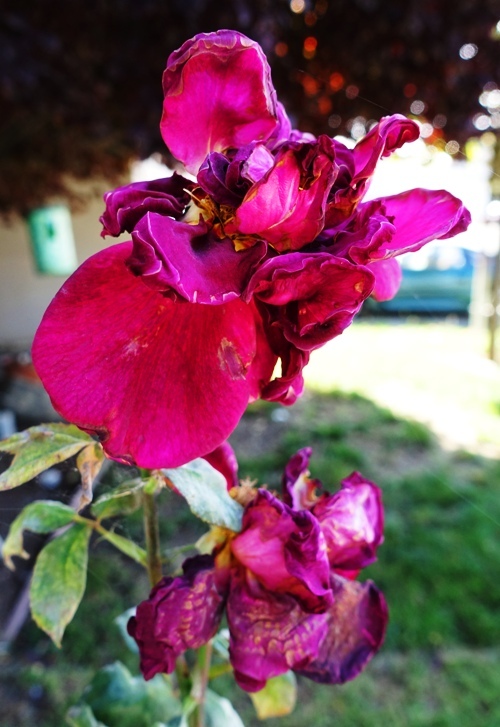 When I returned home from my recent trip to Germany all of the blooms on my Mr. Lincoln rose bush were dried out and slowly losing their petals. 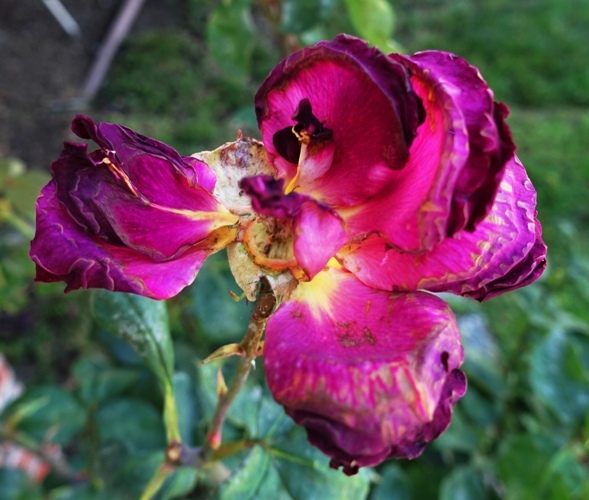 I cut off the spent roses on Sunday afternoon and already I have some new blooms that are about to open. A cycle that will repeat over and over again the rest of the year. 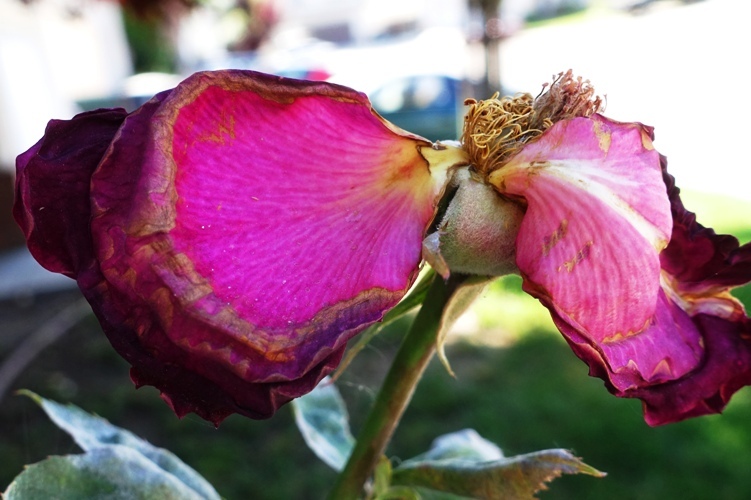 My roses are looking pretty good this year. I am very thankful for the nice rainy season we had. 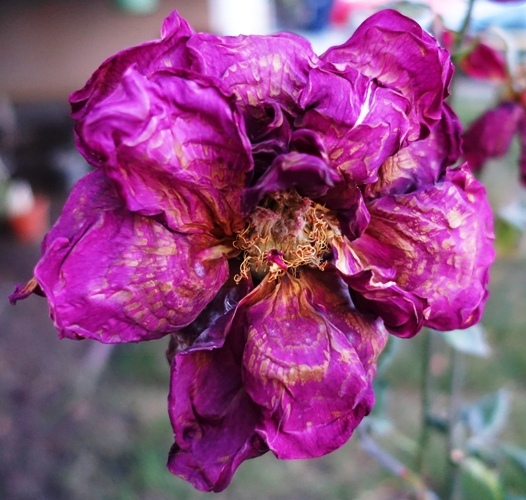 This entry was posted in California, Flowers, Nature, Seasons and tagged beautiful roses, dried rose blooms, Mr. Lincoln Rose, Rose Blooms, spent rose blooms. Bookmark the permalink.